The latter two areas are in fact traditional residential districts, with houses featuring long communal balconies that have survived virtually unchanged over the centuries. These districts were once working class areas, with a myriad of markets and shops. They have now become very fashionable, attracting artists, models, university students, and the rising stars of high society. But there is still a pleasant atmosphere, because a few crafts workshops have survived alongside the trendy nightlife venues. 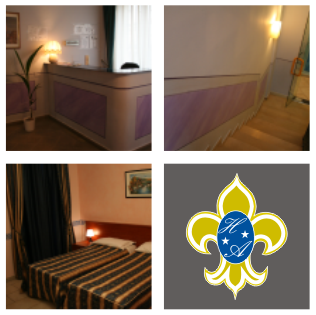 Information on how to reach our hotel is provided below..
After the motorway tollgate, take the tangenziale est ring road, take the Corvetto exit, and go straight on until you reach Piazzale Corvetto. Take the fourth street on the right, Via Polesine, and continue straight on to Via Marco D´Agrate. Carry straight on for about 400 metres, and on the left you will find Via Cortina d´Ampezzo and our hotel. Take the Tangenziale Est ring road, following the signs towards Bologna. Take the Corvetto exit. Carry straight on until you reach Piazza Corvetto. 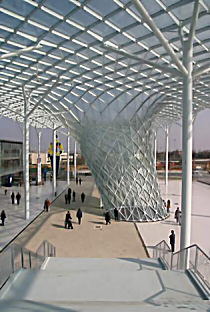 Take the shuttle bus that brings you to Stazione Centrale, Milan´s Central Station. From here, take the underground railway, line three (Yellow line) and get off at Corvetto station. Then, in Via Polesine, take the 95 bus (the bus stop is next to the shop Upim) and get off at the sixth stop (Quaranta/Gargano). From this stop, go back about 50 metres, and you will find our hotel in Via Cortina d´Ampezzo, on the right. Take the Malpensa Express train, which brings you to Milan´s Cadorna Station in just 30 minutes. From the station, take the underground railway, line 1 (red line) and get out at Duomo station. Here, change lines and take the yellow - number 3 - line, and get off at Corvetto. Once you have emerged in Piazza Corvetto, go to Via Polesine where you take bus 95 (the bus stop is next to the shop Upim) and get off at the sixth stop (Quaranta/Gargano). From the Milan´s Central Station take the underground railway, line three (Yellow line) and get off at Corvetto station.